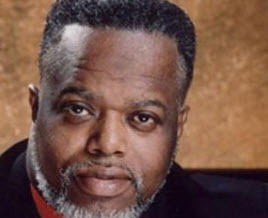 The late Reverend Timothy Wright was a gospel music supernova and is well remembered for the charm and uniquely warm spirit he exhibited as a choir director, preacher, singer, composer and musician. Reverend Wright knew how to get what he wanted out of a choir and a soloist and songs like Who’s On the Lord’s Side, Come Thou Almighty King, He is Risen (Let’s Celebrate), Jesus Will and many others still resonate in churches, from street side storefronts to massive cathedrals across the country, even today. In 1993, Revere nd Wright called together a few of his friends including Donnie McClurkin and Hezekiah Walker for the recording of the New York Fellowship Mass Choir. The hugely successful project was followed up in 2003 with NYFMC 2 featuring Professor James Hall, Keith Wonderboy Johnson, Valerie Boyd, David Bratton and others. 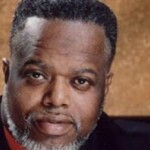 Picking up his father’s mantle some ten years later, Pastor David Wright has issued a call for 500 voices to form the New York Fellowship Mass Choir – Next Generation honoring the legacy of the work his dad began over 20 years ago. Recording dates have been set for June 8th and 9th in Brooklyn. This is sure to be one of the memorable musical events of 2013.